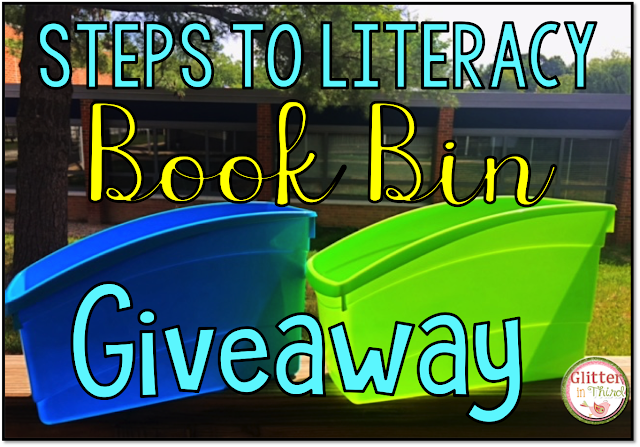 Enter to win a set of 40 book bins! On Wednesday, I blogged about how functional, sturdy, and beautiful these Steps to Literacy plastic books boxes are. I am raffling off one set of 40 book boxes, in your choice of Primary or Fun colors! The Primary set includes 40 book bins in red, yellow, green, and blue, while the Fun color set includes 40 book bins in neon green, light blue, purple, and orange. A set of 40 book boxes at Steps to Literacy are worth $119.96! Enter using Rafflecopter below. You can enter up to three times by following Glitter on Third on Facebook or Teachers Pay Teachers, and/or leaving a blog post comment. Want to have even more entries? You can enter every day to increase your amount of entries if you Tweet a message daily! If you need help or assistance on how to enter, email me at Glitterinthird@gmail.com. Winners will be announced here on July 10th! Winners will also be contacted by email. Don't want to wait to see if you win? Steps to Literacy provided me with an exclusive promo code to save you money! Use the code GLITTER2017 to get a 10% discount on sets of 20 and sets of 40 book boxes! Don't need a set of 20 or 40? You could buy exactly what you need and use code freeship for free shipping! These beautifully colored bins would help with my classroom library's organization. I've moved down to 2nd Grade, so grouping titles by genre or topic in coordinating colored bins world definitely help my little readers find books quickly in the shelves. It's a Win-Win situation because the beautiful bin colors will make my classroom such a happy place. These would definitely help with classroom library organization. Color coordinating by genre, subject matter, etc. will make it much easier to locate books. Besides, the neon coors will brighten up the atmosphere in the room! Thank you for this opportunity. I love these, they would be great in my classroom library! The colors brighten the room, and the boxes keep books nicely organized! Oh mercy these would be a huge splash of color along my windowsill! I love the FUN colors! I would love how organized they would keep me! These could be my student book boxes to store their "backup" books for when they finish a chapter book (or forget it at home, which is more often the case). Love their sturdiness and color! Since this year's coming theme is every that makes us unicorns...you know...unique, talented, special, amazing, etc, we're doing a ton of rainbow in our room. It would add so much amazing color and warmth to our book box shelf, along with providing each unicorn their own book box. I love the fun colors!! I have used book. Ins for several years. My students keep their just right books in them along with their reader's notebook. They use them everyday!! I'm moving to third this year and the previous teacher left most of her classroom library. These bins would help with one uniform and fun way to combine the two class libraries. My classroom library is currently a little sad. I don't have any of my books in a bin of any sort, they are just laying haphazardly on the shelf because I don't have anything to put them in and don't have the money to purchase a lot of bins. I would love to have the fun colors to put my books in. It would help the books stay in better shape. These would be wonderful to use as Daily 5 book bins with each students number on it. I can color code by levels with the four colors. These would be such a great way to organize my classroom library!! I would use them for their read to self and read to someone book bins. The colors would be to color code levels. The other 20 would be used to organize my leveled readers library. I could organize my AR books by level!! I'd love to have a place for my students to keep their guided reading and Reader's Workshop books! I would like to reorganize my classroom library. These would be perfect! I would use the bins for students to keep their reading books during centers as well as keeping their writing books and journals. I would use these for my classroom library! I live the look of the different colors. I would love a set of blue and a set of green for my kindergarten read to self boxes! Blue for AM and green for PM! I would use these to replace the individual book bins I have for my students to keep books for them to read during Read to Self and Read to Someone. The bins I have are getting broken and cracked. I would use these awesome book bins during Daily 5. Each student would have their own to store their read to self books in...this would be a big upgrade from the freezer bags I use! I would use the remaining book bins in my Book Nook to hold leveled texts! I would use these as book bins as well as for reading and math journals. Those always seem to get lost in the desks. I would use them in my classroom library and a way to store journals. I would love these book bins!! I would use them to hold my students' books for Daily 5. They would be great for that!! I try to keep my library leveled, but I only have 9 cardboard magazine holders. These plastic bins would be great because they should fit my entire library! Thank you for the opportunity. I am in a library and need attractive storage for every class that comes in. Thank you so much for the opportunity. I would use them to organize my student's books for independent reading. I would also use them to help organize reading and math interactive notebooks. These would help with my classroom organization!! I moved schools last year and I am looking for some new fresh organization!! I could use these during my guided reading time! I have a hard time keeping my guided reading books together and organized by levels! Excellent product choice! Use these all the time. I would love to have these! I don't have cubbies for my kinders. I would use these for book boxes/daily work storage. Love these! They could be used for so many things... guided reading groups, math groups, literacy centers, math centers, student book bins, organizing plans for the week, and so on! These would be perfect to organize my library by reading level for the kids to better make selections😍. I would use these to replace the book bins in my classroom library. I would let students use for read to self/read to someone, store their headphones and ipad in the also. I would use some in my classroom libray. I am trying to keep my kiddos supplies organized. I would use these to keep their folder and math books I one place! These would add a fresh color scheme as well!! Thanks for this awesome giveaway!! I would love to use these bins for storage in my classroom library as well as storage for my student supplies since I have a flexible seating classroom! I can't tweet or do Facebook because I don't have those accounts. Thank you for shading these bins! I would redo my entire library! I would use these to organize my units for reading street, science and social studies!! It would severely help my organization going into my third year teaching, second year in 4th grade. I am moving to a brand new school that is not giving me a class library or any bins. So these would make my library amazing! I am coming from middle school (math) 6th grade to elementary school and I'd love them for a class library! I would use these as student work folder bins and for my classroom library. Oh wow - these would be perfect to organize my classroom library and even workstations by group. I would love, love, love to win these. -Thanks! My Dollar Tree book boxes are getting a bit shabby - I'd love the opportunity to upgrade! I have to get my Guided Reading books under control!!! Too chaotic! I have been eyeing these for so long! But I just can't afford them yet. I would use them in my class library for sure!!! My teacher friend has them and her library is a dream!plus these are easy for little hands to use. I would love to win these!!! What an awesome giveaway!Thank you! I'm back in the classroom after a number of years as a specialist. These book bins would be a great way to bring color and interest to my classroom library! I would use them to organize my books that I have on my shelf into levels. These colorful bins would be used to help organize my students materials such as their binders, notebooks, and folders. I would use them to help hold my students' notebooks/books as I move away form desks and towards more flexible seating. books for each group of students. At Book Box time, for sure, and maybe in the library, too. I'd also keep one for myself because they're so nice! I am trying flexible seating this year and want to give each one of my students a bin to hold their supplies. I love the idea of using them to organize folders for each table! I'm trying to implement more flexible seating next year and these boxes would help with storage and managing their work!! I would use these in the classroom library to organize all of our books! These would be a perfect addition to my classroom! My students would use them to keep their leveled books, word work, and their work on writing journal in during the reading block. It would keep my students supplies all in one place so they can work anywhere around the room! I would definitely use these to organize my classroom library! I would use them to sort the books by different categories! I would love to use these bins as book boxes for my third grade students! They would keep read to self books, a reading response notebook, and book club resources in them. We are in need of new book bins! So many of ours are decorated right now with colorful tape to hold them together! I'd use these for each student to have their own book bins during reading workshop. Thank you for this amazing giveaway! We are starting a new reading program and these bins would help me organize my classroom library into levels!!! I need for book baskets for my library plus I love the colors! I love them for student book boxes but would love them for math centers and my library! This year I decided to make the change from special education to general education. 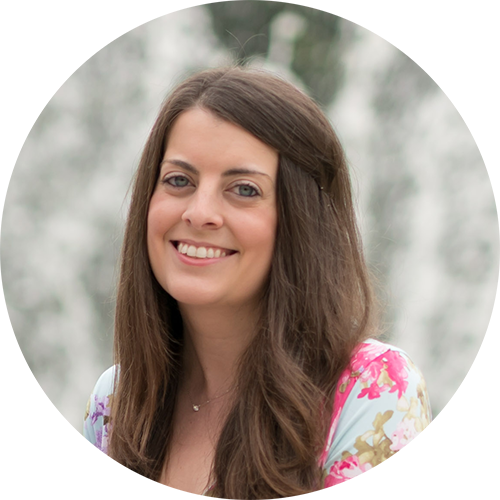 I've been teaching for five years in special education. I have accumulated quiet a bit of things needed in a special education classroom. Now that I'm making the change from special to general, the supplies needed for the classrooms are very different. These tubs would be greatly beneficial in making the jump from special education to general education. I definitely need new book boxes for dailies. My baskets are 7 years old and several of them broke this year. The beautiful "fun colors" book boxes would help me tremendously in my 3rd Grade classroom. The main reason they would help my class is due to the fact that I use them as library bins for each student in my class so they can shop our classroom library. Unfortunately our school does not have a library so I recreate how I would want our schools library to be within our classroom. These book bins would be so much sturdy than the cardboard ones I buy each year and always have to replace halfway through the year. I would use them for classroom library and book bins forbDaily 5. I would love to use these as storage for my kids with flexible seating arrangements :) Thank you! I could use these to organize leveled readers or personal book bins for each student. How exciting! I would use these to organize my library and for center stations. I would use these book boxes to help me add organization & color to my classroom! We are switching to literacy collaborative next year and I will have a ton of new books. I could use all the colorful organizational bins I can find!! I would use them in student cubbies for their notebooks! We are getting rid of desks so they need a new spot for their things! :) I would love this so much!! I would revamp my library organization! These book bins would be great as I am starting my classroom library from scratch this year at a new school. Thanks for the opportunity. My book bins are 10 years old and are beginning to crack and some handles are broken and are taped a LOT to hold them together. I have a lot of books so this would be wonderful to keep my books organized and I could retire my old ones. I have twins going off to college so I don't have extra money to get new ones. I use bins for individual work and mine are starting to show wear. How great to get a new set and with such cool colors! I would give each student their own leveled library that i would switch out weekly. Right now i just have book bags thay constantly rip and the kids can't tell apart. I could use these in SO MANY WAYS!! First off, one book box for each student to get their books off their desk tops. AKA- fewer damaged books from sweating/leaking water bottles! I could also use other bins for planning and preparing for upcoming plans. Meaning, a Monday bin, Tuesday, etc. Who doesn't have an avalanche of assessments? Having extra boxes would less scrambling around for Jimmy's math test or Annie's reading assessment! I would reorganize my classroom library and try out individual book bins for my students. Thank you for sharing and the fun opportunity! I would love to replace Ziploc bags with these beauties! My third graders would be thrilled! I use these in my classroom library and they are fantastic!! I am moving a new school and they have book bags. I love that the kids have their own book buckets. Would love to organize my classroom books better with them. Also I can organize the books that I bring from home to share with my preschool kids. Thanks for the chance! I would love to be able to sort my library and create book bins for individual students. Thanks for the opportunity! I love the bright colors! I would use these to organize center activities for my kindergartners. I would also like to try student book bins and these would be perfect to personalize. Interactive notebooks are also sobering that I'm interested in implementing this year. Please help to organize my classroom by picking me for this prize! I will be departmentalized for the first time this year so I may use these to help sort notebooks and such for each class. I think the bright colors would help make the classroom brighter. They would be used as book boxes. I would use them to sort books by AR levels as well as series types. These would be fantastic to further tier the Lexile levels of my class library! They would also be great for organizing student journals! These would be perfect for my students to have their own book box for independent reading!! I teach 2 sections of ELA, and this would be great for organizing materials for both classes! I'd use it to organize books by different levels. I would love to use these for each individual student reading "boxes" where they can keep their reading books, reading log, and stuff in it. I love using this for individual student supply boxes since I use flexible seating in my classroom. It would help my kinders keep all their items together. I was worried it ended! Just checking in and reentering. I love the color of the boxes! I hope to get them to keep me organized :). Happy 4th of July weekend! I would love to have a set of these to use for our "book boxes" for the students to use during small group reading time! I would use these to help organize my RC books! I would give one to each student to keep their library books in so they will stop being ruined inside their desks. Love these! I am implementing readers workshop this year and my kiddos need their own book boxes! I am still trying to build my classroom library (I recently moved from middle school to third grade), so this would help. I could also share them with my husband because he is going to be a first year teacher in the fall! Oh the fun colors, how awesome! I would use these to reorganize my classroom library! This will be my second year in third grade and I just moved to a new room, these would certainly brighten things up! I would also share because we have 2 new teachers in our grade level this year who will need to start their own libraries! I would use these to organize my books and for journals and daily work notebooks. I will use these bins to organize the books and magazines in my classroom library. Students will also use these bins to organize their work. The bin colors are the perfect color for my classroom. I would use them to rake the place of ziploc bags or table bins so each of my students would have their own individual, sturdy book bin, holding books on their level to read. The bins would also be great for unfinished student work and to organize some of my classroom library books. Thanks for the opportunity! I would use these bins to organize student books, folders, and notebooks, or also files for my reading curriculum. I am moving to 2nd grade this upcoming school year, and I would love to have these book bins to help me organize all of my books. They would also be perfect for individual book bins for my students. Thanks for the opportunity! I would love to use these to organize my book area! Talk about a disaster area! They would also make great holders for students' books (I am being departmentalized next year, so the second class that comes in needs a plae for their books). Thanks! These bins would help me organize my books by Lexile, so that my students can identify a book on an appropriate level. I could use these bins along with the same color folders for guided reading groups. The students could 'see' which group they were in by colors not by levels. I could also use these for my leveled readers so each color represents a subject or even separate by reading skills for the standard being taught. I could really use these colorful bins to get my classroom library organized! Oh Wow! I could use these book bins to replace my worn out book boxes in my library. I could also use some of them with coordinated folders for guided reading groups. I want to win this set of book boxes to get my classroom up and running! As a new teacher, there are so many expenses to get your classroom started and this would be such a huge relief! I would use some of these bins as book boxes for my students, and the rest to organize my lessons and materials by month or unit. Thanks for the chance! I would love the opportunity to use these in my classroom! I started my teaching career this past January and I adopted a ton of wonderful materials and books. However, starting my first full year of teaching this August, there's not a great organization system for both my library and guided reading books! I would love to use these to help with that organization and continue to use them throughout my career! I would love this opportunity for my kids. We don't have any book bins. Thanks! I love the fun colors! The book bins would be great for student browsing boxes. Students would have their own book bin to store their books. This is an amazing giveaway and I would love to win! If I won, I would use the bins for STEM activities. Each color would be a different area in STEM (oh that would be glorious organization!